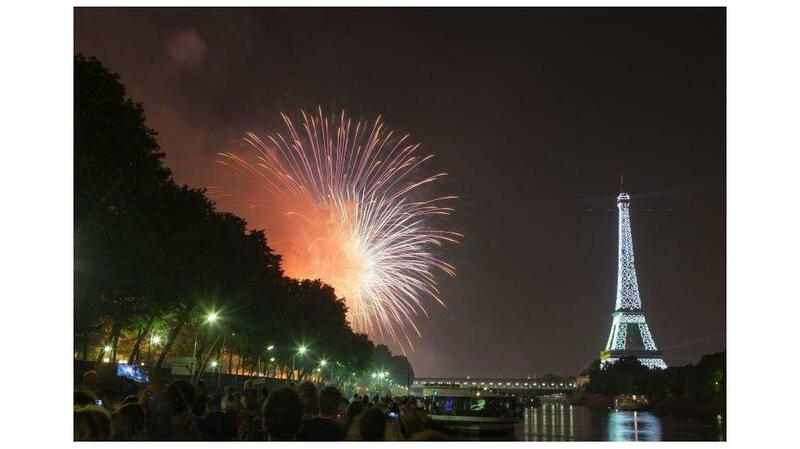 WHAT: Tomorrow, July 14th, is Bastille Day in France and EarthCam is inviting people around the world to be a part of the celebrations with its live streaming webcam views. See the dazzling fireworks display over the Eiffel Tower in Paris with real-time video. WHY: The French National Day commemorates the Storming of the Bastille on July 14. 1789, which was a turning point of the French Revolution. Today, this major national holiday is celebrated with a military parade, public dances, outdoor concerts and a spectacular 30-minute fireworks show above the iconic Eiffel Tower. HOW: Experience the fireworks over the Eiffel Tower in Paris with EarthCam’s live webcam! The fun starts on July 14th at 11:00pm local time (5:00pm EDT). Want a sneak peek of what you can expect from the amazing fireworks display? Click here to watch EarthCam’s footage of the 2014 celebrations. Bonne journée de la Bastille! Ohhh even though the day has come and gone, I want to see if I can check out the recorded footage!